In the days of old, the people of Scotland held contests of strength to determine who would be the next Clan Chief or lead the army into the next war. Sometimes "games" were held just for the purpose of holding them...a day of enjoyment and togetherness in the spirit of competition. Throughout the years these contests and events transformed into the "Highland Games" we see today all around the world. 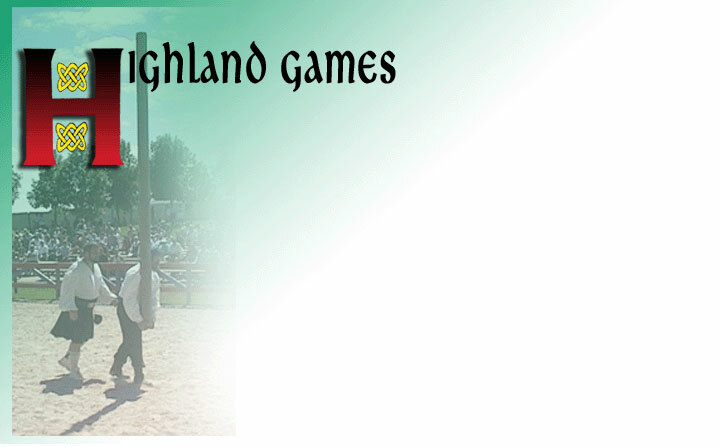 "Click" Here to Register for the 2005 Gulf Coast Celtic Fling & Highland Games Athletic Competitions!